Despite the name of the album (it's Greek for “love”), Agape is one of the absolutely worst gifts you can give your loved ones for the holidays. 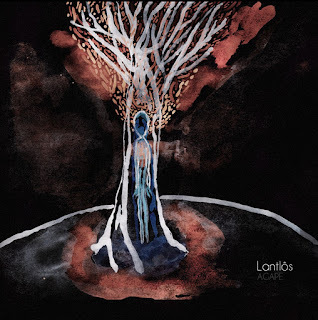 That was meant in an honest, positive sense – while there are bands of greater technical skill and with superior songwriting, few bands can capture the raw feeling of melancholy like Herbst and Neige have done on Lantlôs' third album. Purveyors of cheer and joy will find much to frown about, while Eeyores around the world will raise their goblets, declare the album a masterpiece, black out and wake up with spirit crushing riffs pounding in their head as they bend over green tinged toilets and puke out their Big Macs. Agape feels like an existentialist journey through one man's lows and lower lows. (Highs have no place here.) “Intrauterin” opens the album with a yawning, two minute-long void before exploding into Herbst's crushing riffs and Neige's wails of woe and black tides, alluding to this mystery man's struggle with his internal demons. Of the identity of these demons, we know little, but nearly everyone has them, whether with alcoholism, religion, family, love, and onward. Unlike those that break free, Lantlôs instead portrays one that has nearly thrown in the towel, ready to give up on all that he holds dear. “Bliss” feels slightly more uplifting, featuring the same minimal yet slowly engulfing sound highlighted throughout the album. 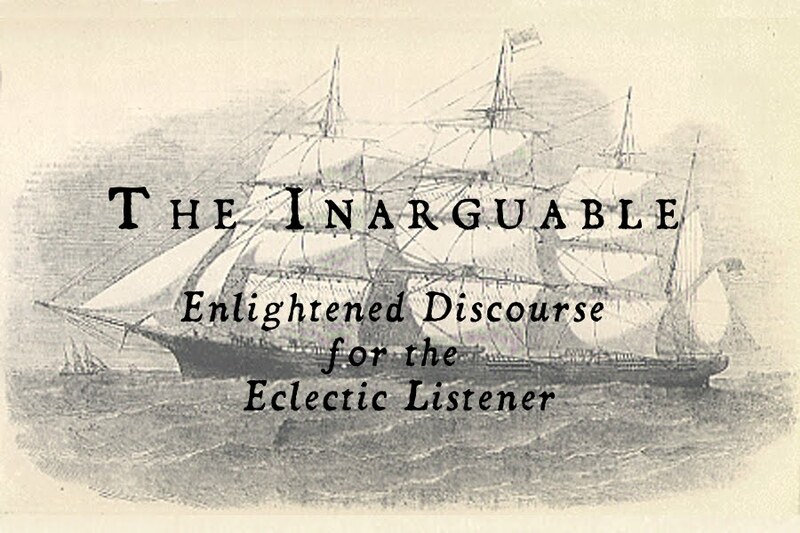 Feedback is used to wrap the listener in waves of echoing decay and through mires of misery. Rather than whetstone-sharpened needles of agony and rage, Agape presents us with a feeling of helplessness trapped in the wheel of life, gently yet firmly pushing the listeners toward a hearse under gray skies. “Bloody Lips and Paper Skin” is a blip on the album's otherwise depressing atmosphere – the man has found a ray of light, of whatever worth. If “Intrauterin” and “Bliss” is a fast-forward through pain, “Bloody Lips and Paper Skin” is where everything seems much clearer, however momentarily. It is the climax, where the slightly more positive vibe brought on by the energetic guitars brings a sense of hope for the mysterious character. Yet this, too is an illusion, to be burned and discarded like cigarettes. “You Feel Like Memories” is the next scene. A gentle instrumental for troubled souls, it is autumn wrought within four and a half minutes of calming post-rock-esque guitar and the quiet taps of hi-hat cymbals. A house of cards about to fall, the withering of tree leaves, two lovers in a slowly unlocking embrace – these are all appropriate scenes to describe what the song captures the sense of. The descent into despair reaches its destination on “Eribo – I Collect The Stars.” Here we have Neige in his signature celestial dream-invoking voice so familiar to fans of Alcest. The guitars swell with power as the cruel feeling of finality is reached. The prominent, sparse ambience and feedback of the first songs comes full circle, and our anonymous protagonist has gone from heavily depressed to utterly doomed. The only exit at this point is to beg and grovel for compassion from the increasingly distant world – for agape. Nothing else is left but a shell of a man, for all of the color of his life has become gray. Agape is composed of just five tracks and the album only lasts just over half an hour, but the slow, barren progression of the composition and long song lengths can cause it to seem plodding and sluggish. It is not an album for sunny days and frat parties (not even ironically), but when played on isolated nights with only clouds and moonlight to turn to for solace, Agape proves its worth as an album for contemplation and the dark alike.